Colors, colors, colors. Are you into colors? Who would not want to? Everyone is so pleased seeing vibrant and colorful elements. These just make you flowing, into the mood and free spirited. So why not make these hues closer to you? Make it to a point that from the time you wake up until the time that you close your eyes you are still filled with energy to enjoy your sleep and not be restless. 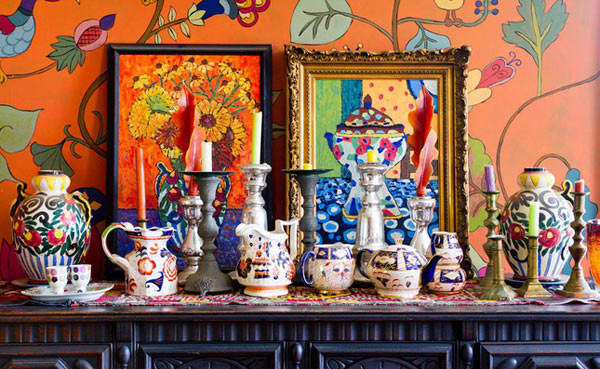 Enliven your home with color. Not just with your favorite color but try mixing and matching and playing with different colors to get a peculiar, winning and rejuvenating aura for your place. 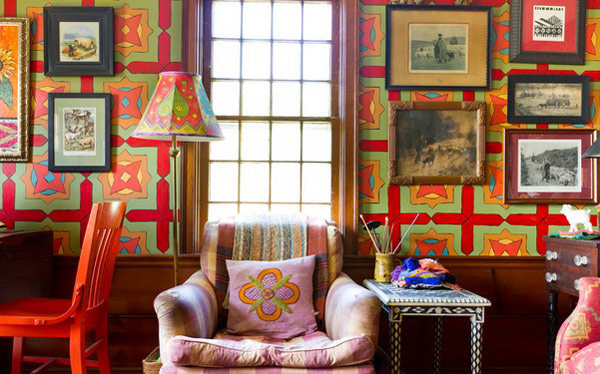 Discover how these colors transform your neutral room by simply putting up vibrant colored accessories into something extraordinary and unexpected and not just set with an analogous scheme. Learn how to accessorize and how to put together the right colors for your home so that at the end of the day you’ll be amazed how simplicity turned into distinction. 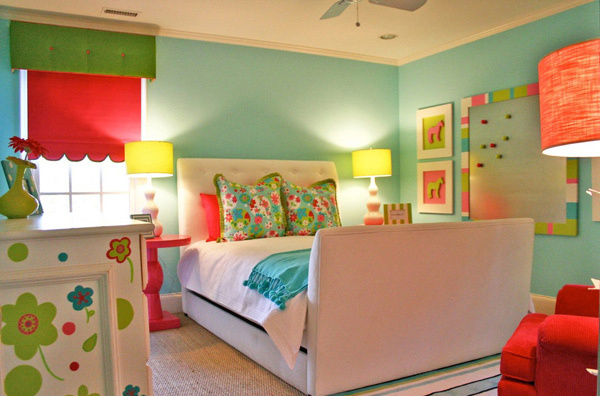 A teen girl’s room is always classy, preppy and sassy. Sure that pink will never be out-fashioned and complements neon green. The colors are mixed gaily. Look how crazy and uniquely incredible this is. 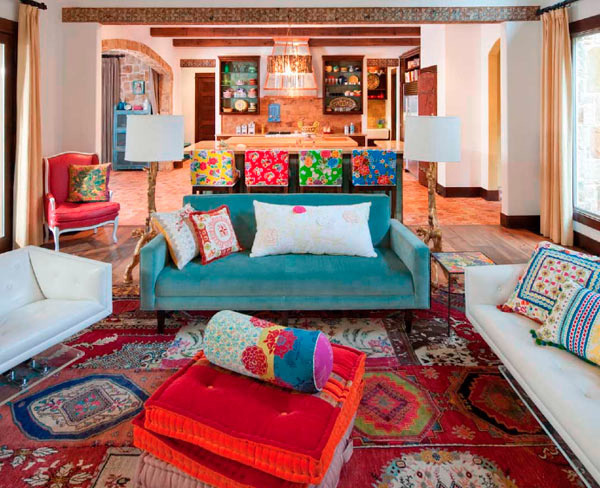 This room is a total mash of different colors and distinctive patterns and style of the lights, throw pillows, furniture and rugs. In here the colors are blended carefully. Peach has been blended well carefully with pink, orange and green. 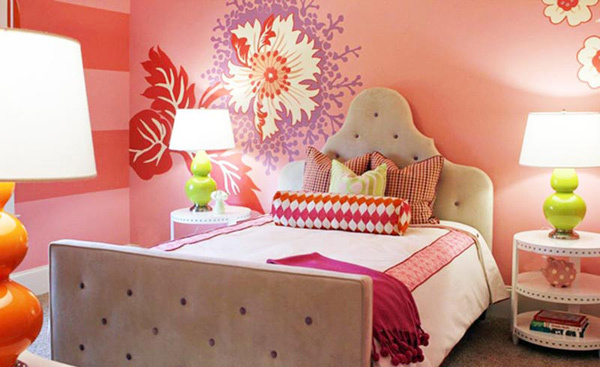 The attraction in this room are the decorative throw pillows and the flower painted near the headboard. The wallpaper that you see is actually the designer’s own creation. She created her own wallpaper by cutting shapes out of FedEx boxes, layered on top of each other and hand painted. 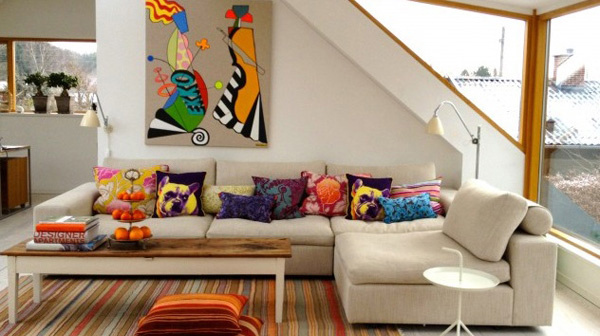 The wallpaper matched together with lamp shade, the throw pillow, sofa color and chair is a unique quality of art. 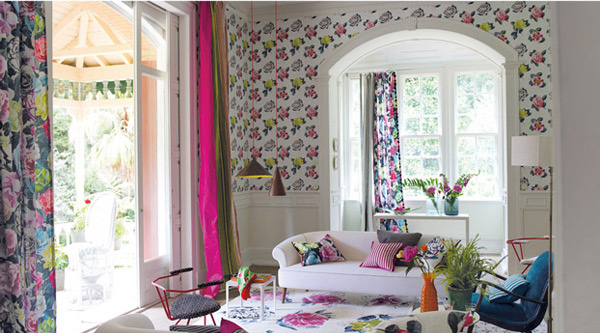 Set contrast to a neutral palette wall by adding up vibrant home decors for the room. A work of art here is the focal point anywhere you go. 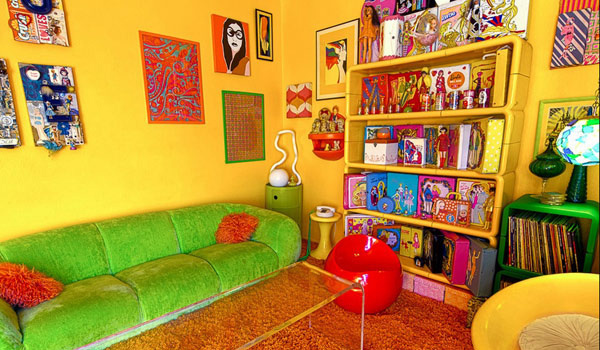 A total burst of colors with an orange shag rug, shag pillows on top of a green comfy couch, decorative elements such as the retro picture frames hanging on the walls, mini library with colorful cover pictures and yellow wall and bookshelf as the main attribute on this room. Vintage decorative pieces don’t need to be seen old, mottling and breaking. 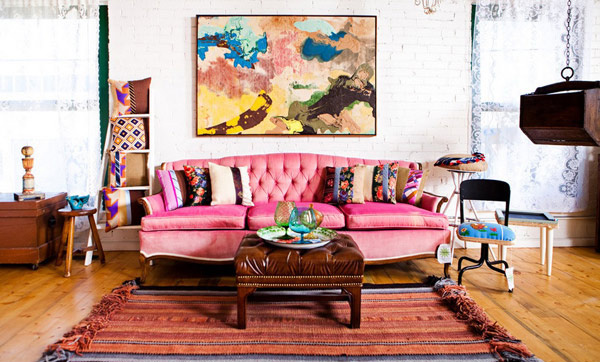 By having a little fix up and putting up all these things together, everything will look great as new just like having these decorative throw pillows, chesterfield style ottoman, the pink sofa and the painting. Having these colorful accessories are like putting the paintings into reality while the paintings disguise itself to the art wall. Vintage it may be but still looking sturdy and long lasting. Bright colors don’t mean neon and sparkling. This room evokes an inviting mood with plush plus an outdoor welcoming and refreshing mood. 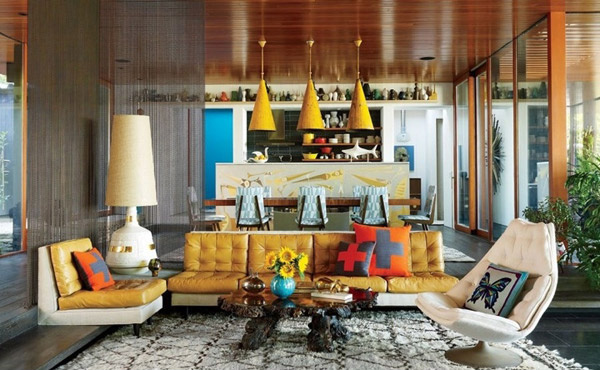 It’s all bright and sunny with an open living room filled up with earthly vibrant tones to accommodate your area. A unique combination of purple and green plus added subtle tones yellow, black and orange. This living room indulges you into deluxe and sophistication. A room doesn’t always need to follow a pattern or design. 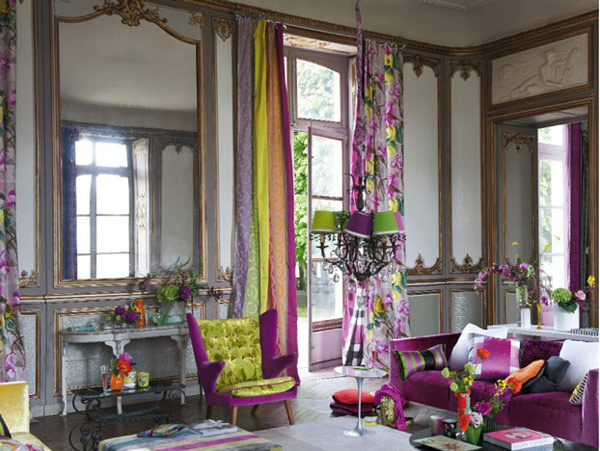 Mess up your room with intricate style from the chair covers and pillow covers, sofa and down to the carpet. 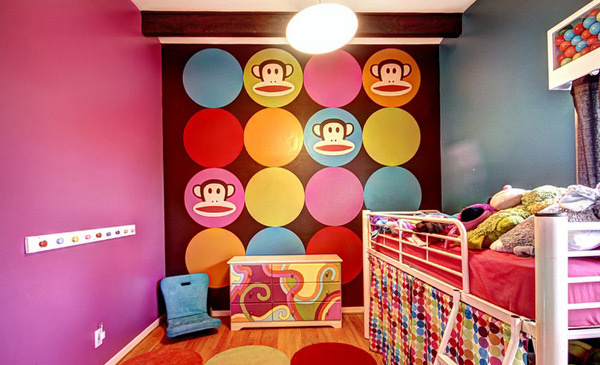 Play with circles, patterns, colors and characters with your child’s bedroom. Mixing them all up will set and transform your kid’s mood and his room into a playroom. You will also love how these colors play perfectly with each other and with your eyes. 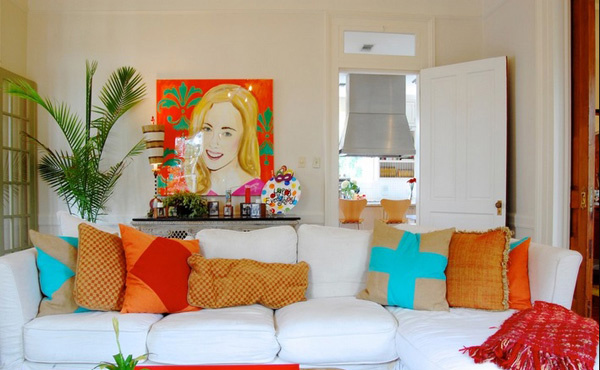 Stir up your white wall and sofa with bold colors, textiles and fun artwork. A girl’s room is not always painted with pink, fuchsia or anything in touch of it. A vibrant room stays refreshing with blue, green and white combo, a floral design and yellow light fixture to add warmth to the room. See the transformation? You don’t need to paint your walls or change furniture every now and then and spend big just to convert your plain looking home into a fantastic one. Home decors are everywhere and limitless. 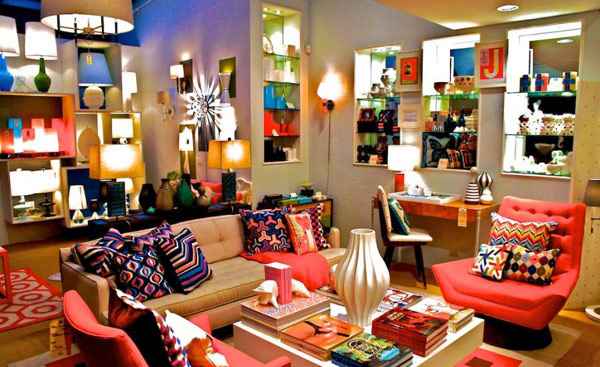 So try and live with our amazing 20 Colorful Home Accessories and make sure to check home decor accessories ideas!